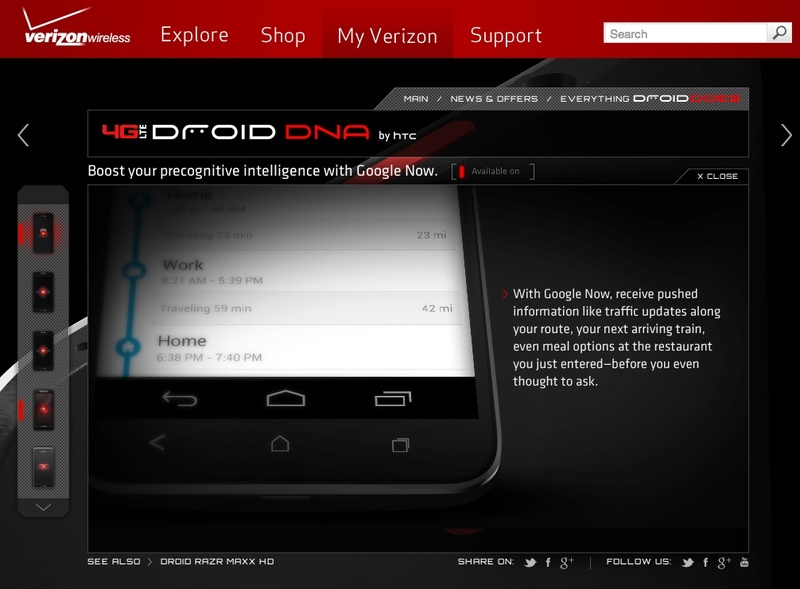 A little over a year ago, when Google introduced the Galaxy Nexus, we thought the days of hardware navigation buttons were limited. Google was pushing for them to be on-screen, even suggesting app style guidelines that would work best with the flexibility that comes with them. But as devices were released month after month throughout 2012, we quickly realized that hardware buttons were here to stay. HTC, trying to at least be somewhat with the times, gave us three hardware buttons that mimicked the on-screen versions from Google – back, home, and task switcher. The terrible Photoshop job in the image above is the ultimate representation of this. 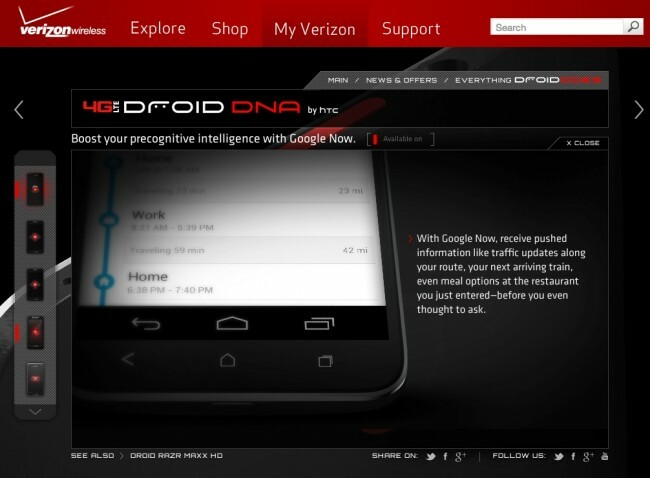 Found on Verizon’s DROID DNA site, Big Red is trying to highlight Google Now, a Jelly Bean feature that we can’t get enough of. Unfortunately, for this graphic artist, even the not-so-tech-savvy individual should realize that there is something wrong here. 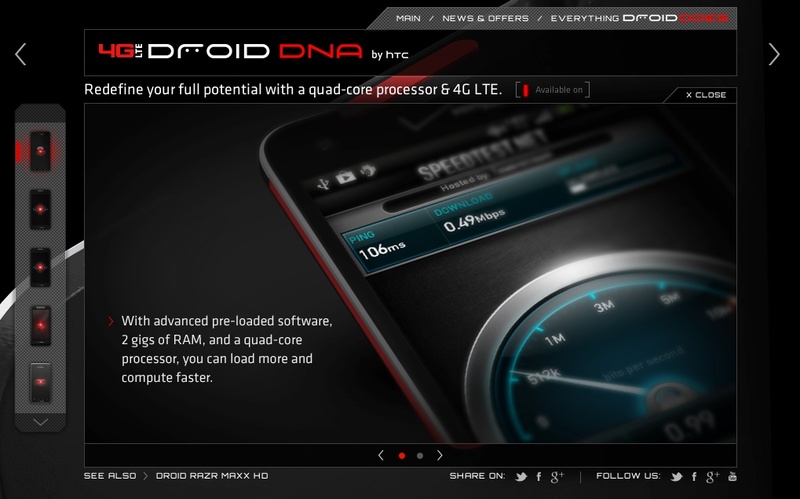 To add insult to injury, on the 4G LTE page for the device, Verizon is trying to show the incredible data speeds of the DNA through a speed test. The problem here, is that 0.49Mbps is something your 1998 dial-up connection could probably produce. Silly. Add them both to the list of Photoshop failings.